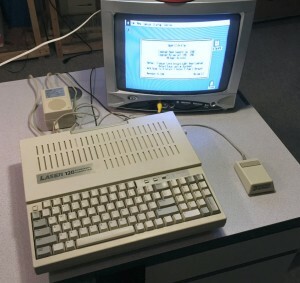 The portable Apple II that outdid the IIc. A client dropped this off at the office with a box of goodies. Other: Original power power brick present. None of the associated packaging is present. User’s Guide/BASIC Manual and hard bound Technical Reference Manual are present. 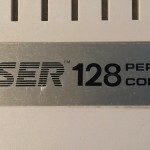 Canon Manufactured, commonly rebadged by IBM – this particular device has a custom manual for the specific pairing of this printer and the Laser 128 and was resold/rebadged by Computer Direct from Barrington, Illinois – a company that seems no longer to be operating. Broderbund Software The Print Shop Creative Workshop Series, in box.